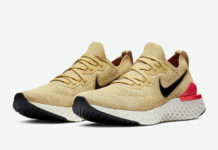 Nike presents a new iteration of the Epic React Flyknit, this time adding some “South Beach” tones to the popular runner. 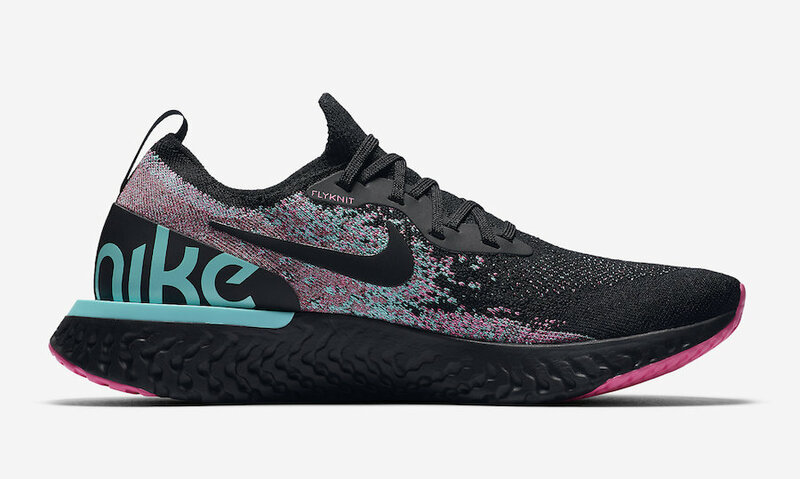 This Nike Epic React sports a Teal and Pink knitted detail throughout its Black Flyknit upper with a bootie shape ankle collar for easy entry. A Black Nike React foam midsole and rubber outsole with hints of Pink adds for durable cushioning, while Teal wraps the TPU heel clip to give off that “South Beach” vibe. Look for the Nike Epic React Flyknit “South Beach” to release on December 6th at select Nike Sportswear retailers and Nike.com. The retail price tag is set at $150 USD.